HOW is your blood pressure today? You only have to watch BBC2’s current documentary series The Tube to discover how stressed many London commuters are. 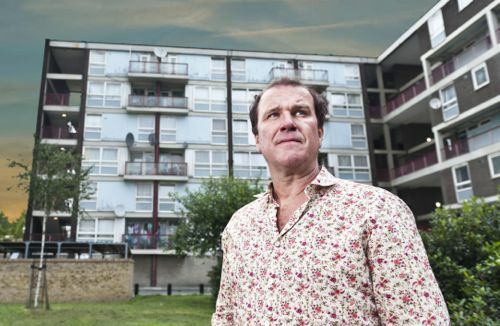 And then there’s kitchen salesman Ted, played by Douglas Hodge, in new TV drama One Night. When we first meet him he’s having a bad day and fears he’s about to be made redundant. Ted, 50, is then involved in a row with a teenage girl called Rochelle and a gang of girls who refuse to pick up their litter outside his house. 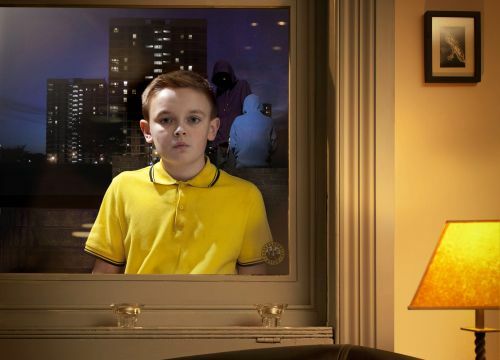 The four-part BBC1 serial charts the tragic consequences that can result from confrontations and fear of crime in Britain’s cities. Writer Paul Smith wanted to challenge our perceptions of other people and the misunderstandings that can result. As well as highlighting gang culture and the pressures it puts on young people. It’s an excellent, thought-provoking drama series originally made for a 9pm primetime slot. So why has it been moved by the schedulers to 10:35pm? I met up with Douglas and other members of the cast on location in a very hot east London last July. When the Olivier and Tony-award winning actor revealed his fears after a real life confrontation nearby. “A guy stopped and scratched my car with a nail,” said Douglas, who saw the incident from the window of a nearby building. Devon-born Douglas appeared with Frasier star Kelsey Grammer in Broadway musical La Cage aux Folles and was best man at his wedding to British flight attendant Kayte Walsh. He recently starred on the London stage alongside Doctor Who actress Karen Gillan in Inadmissable Evidence. “Having spent a year in New York, I’d say it’s much safer there now than London, which is much more dangerous than it was. The drama – which tells the story from four different perspectives – also stars Georgina Campbell as Rochelle, Jessica Hynes as her mother Carol, Saskia Reeves as Ted’s wife Sally, Neil Stuke as his boss Kenny, Kellie Bright as Kenny’s wife Dawn and Don Gilet as DC Hutton. Plus a remarkable performance from Billy Matthews as 13-year-old Alfie. One Night begins on BBC1 at 10:35pm next Monday (March 26) and continues on Tuesday, Wednesday and Friday. “Everything is against him, whatever happens. 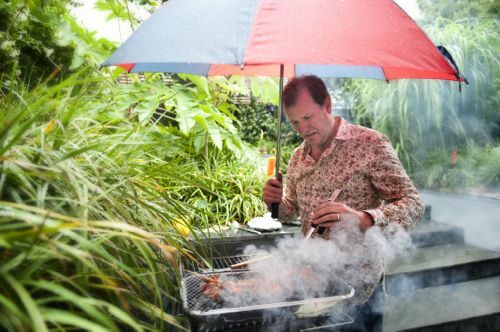 The whole of life is this trudge through treacle. “I think it was probably the most thrilling professional year in my life. There’s no better city to have a success in. They just open the doors to you. It was fantastic. Does winning the Tony open doors in New York? 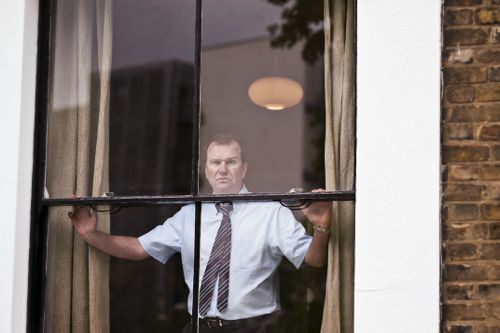 Not having a good day: Douglas Hodge as Ted. How does Broadway compare with London’s West End? What was it like playing opposite Kelsey Grammer? Kelsey got married in the theatre? Being back in Britain after all that? As father of two children, does he worry about them in today’s world? You’ve got so many different careers – acting, directing, songwriting? He’s spoken about doing another musical? Posted in News and tagged BBC1, Billy Matthews, Don Gilet, Douglas Hodge, Georgina Campbell, Jessica Hynes, Kellie Bright, Kelsey Grammer, Neil Stuke, One Night, Paul Smith, Saskia Reeves. Bookmark the permalink. GREAT article! Hope that you don’t mind that I’ve linked it to douglashodgefansite.com. Thank you for a lovely interview! Thanks Sheri – and link away!